Okay? We good? You got the urge to make iOS games out your system, Sega? 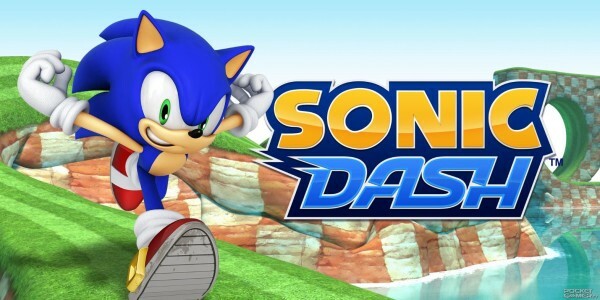 Can we start talking console Sonic games yet? You think they’re only working on this? I bet they’re also making that great main/canon console game right now. And they’re going to announce it around April/May. I figured since there was that rumor they were going to announce it in mid-February, Sega made sure not to. Generations was like March or April, and Colors was May I believe, so it’ll be soon, I’m sure. Although I did hear that the project name for Sonic & Knuckles was actually “Project Red Herring.” Does anyone know if that’s true??? Why does everyone call it “red herring” isnt it more like “ring herred”? Is that possible? Awesome!!! This is the first time I actually have an iPhone to play a Sonic game on the day it’s released!! Sounds awesome; will definitely keep me busy for a while. Hope they also update Sonic Jump soon; been looking forward to playing as Shadow, and am very curious to see how Vector will work (still don’t understand why they put him in there over Espio or even Jet, but not complaining…). Woah, when’s your Spring Break? …Mine’s not till the last week of March. Well my Spring Break starts next week, but I don’t have class on Fridays or weekends. Mine starts next week too! Please have better graphics than Jump! Also, Sonic Jump had a terrible blurriness. I hope the next game will be shiny clear. Blurriness? What are playing on? Sonic Jump looks fantastic on my iPhone! I have the 5 and Sonic Jump is an app that is actually optimized for it, and I like that about it. Well, the game is way too blurry on my Android. And speaking of Android, Android version of Sonic Dash, please? Sonic Jump was a huge success on Android and was at sixth place at top paid apps. …So it seems the blurriness appears on Android only. That explains a lot…I have an Android phone too. Cool! i love Sonic and all the comics about him and ALSO i kind of dont like Sally Acorn….i like Amy and Sonic and Shadow and Silver! i wish i could talk 2 Sonic…..or Shadow or Silver and i LOVE Mighty the Armadillo! Every time I see this, I just keep thinking about that “Sonic DS” game demo from E3 2004 that never made it onto the Nintendo DS. Well, to be fair, it didn’t look like much after the second watch of that demo. Just rubbing the touch screen and watching Sonic go…. Lol. But hey, we got Rush. What game demo? Did it have a name? That’s a strange piece of Sonic history; I wonder why I haven’t heard about this before. Probably because the only things we’ve been able to see from the game (besides whatever they “potentially” showed at E3) were a couple of screenshots.